Snore lightly if a young child or snore loudly if an older child, teen, or adult? Choke, gasp, or snort in sleep? Stop breathing for a short or longer amount of time during sleep? Often breathe with mouth open during daytime or nighttime? Move around a lot in sleep? Adult seems very tired in daytime, child has difficulty with concentration and hyperactivity, and a teenager may seem lethargic, unmotivated, easily distracted in school, and both children and teens often have trouble completing school assignments in a timely manner. If you or your child have some of these symptoms of OSAS, you need to do an on-line screening immediately to see if there is a high probability of having OSAS because OSAS can be very harmful to your one's health, safety, cognitive functioning, learning, and behaviors/emotional regulation! Damage could be occurring month after month if OSAS goes undetected and it can cause many health problems in adulthood (obesity, diabetes, high blood pressure, heart attacks, strokes, vehicular accidents, etc)! (3) Mixed Apnea, which is a combination of Obstructive and Central Apneas occurring together in the same person. This article will discuss Obstructive Sleep Apnea because this form of apnea occurs most frequently in about 2.5-to-3% of children under 8 years old, and probably more often (about 3-6%) in older children and adolescents, although we do not have enough incidence rate studies in this population at the present time. As high as 4% of women and 8-9% of men over 50 years of age have obstructive sleep apnea, so it is common for this age group. Anyone with obstructive sleep apnea should seek treatment because new medical research suggests that obstructive sleep apnea can cause a reduction of growth hormones released at night (in some cases of young children), lowered cognitive functioning, high blood pressure, obesity, heart attacks, strokes, diabetes, and many other health problems if ignored. It also causes inattentiveness in children and teens, as well as excessive daytime sleepiness (EDS) in adolescents and adults. EDS may be the second leading cause of vehicle accidents in this country (second only to Driving Under the Influence of Alcohol-DUI). 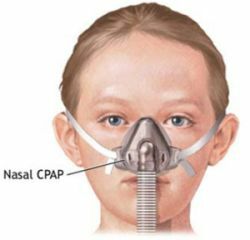 these problems also seem to cause frequent ear or respiratory infections, although this is not true of all children with Obstructive Sleep Apnea. around the bed or often kicking to open up the blocked airways; and occasional pauses in breathing (which many parents do not notice). If this blockage of the airways occurs frequently during sleep, it results in too much effort to breathe, sometimes waking the person from deep, restful sleep, or causing a deficit of oxygen reaching the arterial blood flow of the brain. 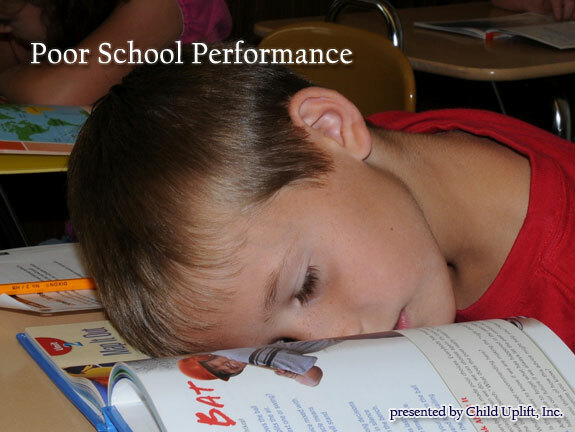 Because of this, many sleep research studies on Obstructive Sleep Apnea have reported that apnea has a negative impact on the student’s daytime functioning (alertness, concentration, activity level, work production, moods, memory, learning, and behaviors). 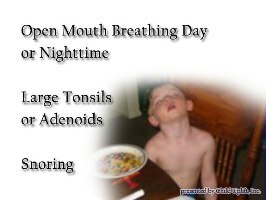 Obstructive Sleep Apnea is considered the most dangerous of all the sleep disorders; therefore, if you or your child have multiple signs of this condition existing, especially loud snoring, pauses in breathing, choking or gasping at night, it should not be ignored. is hereditary. If you have any relatives who have been diagnosed with Obstructive Sleep Apnea, and your child has some of the symptoms mentioned above, you should do the ON-LINE SCREENING to see if your child or teen has Obstructive Sleep Apnea. behaviors, achievement, and a happier, more cooperative child or adolescent. people die every year due to the negative impact of Obstructive Sleep Apnea on their health or safety. To SCREEN your child or adolescent immediately for Obstructive Sleep Apnea and other common Pediatric Sleep Disorders, click “Screen Child” above to screen your child with the Sleep Disorders Inventory for Students (SDIS) (for use by parents of children between 2 and 19 years) and get valuable treatment and intervention ideas. The Aveo Tongue Stabilizing Device treats sleep disordered breathing and mild OSA. The American Sleep Apnea Organization educates the public about sleep apnea. ASCENT was founded in 2008 by three dedicated Ear Nose Throat Consultant Surgeons who are fellowship-trained and specialized in operations and disorders of the ear, nose and throat. Embla offers an impressive array of sleep diagnostic systems. Faith Medical carries a full line of diagnostic products such as snore mics and limb movement sensors.